Sightseeing flights offer the most breathtaking and awe-inspiring views, incredible photographic opportunities, and sights that many people have never seen before. On one of these flights you may discover sunken ships on our shipwrecks tour, view the City of Toronto on our skylines tour, or be astounded on our Muskoka cottages tour. Or maybe you enjoy skiing or snowboarding and want to see the ski hills from above. Maybe you would like to take an aerial photo of your house to put on the wall. No matter what your destination, Future Air can help. What is a Sightseeing flight? A sightseeing flight is one where you sit back and relax while one of our professional pilots handle the controls. Bring your camera, binoculars and sunglasses and let us do all the work. When are the Sightseeing flights available? 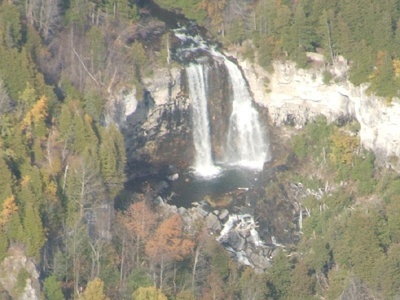 Sightseeing flights are available 7 days a week, 362 days a year. These flights run during daylight hours and only in suitable weather conditions. To ensure that we are available for you we recommend a reservation, however we can usually accommodate last minute walk-ins. Are they seasonal? When do they run? Can I do weekends? Flights run all year round, each season whether it is spring, summer, fall or winter offers unique sights to behold. Spring time bring new growth and colour. Summer has beaches and golf courses. 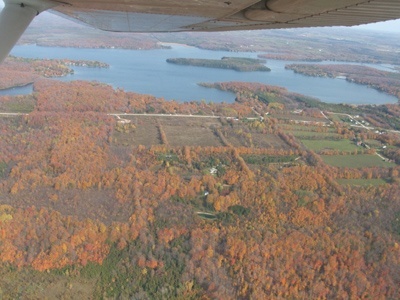 Fall offers amazing red, orange and yellow as the leaves change colour and winter skiing, snowmobiling and ice fishing. Many people ask when is the best time to go, our response is that it is day specific, each day is unique and special and it depends on what you’re interested in seeing. 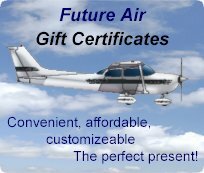 Future Air uses the Cessna 172 which is a four seat aircraft. The aircraft has a high-wing design which offers better views for scenic flights, you won’t have to look at the top of the wing during the whole flight. This aircraft provides a comfortable flight of both long and short duration. These well maintained aircraft can accommodate 3 passengers per trip with each seat being a window seat. The nice thing about a sightseeing flight is you can choose the length. The typical sightseeing flight is anywhere from 30 minutes to 60 minutes, but if 45 minutes is all you need then that is all you will pay for. Future Air will not round up to the next hour even if you flight finished early. What Can I see during the flight? Do they make a good gift idea? A sightseeing flight makes for an excellent and unforgettable gift. Whether it be for a wedding, anniversary, birthday, Christmas or even mothers/father’s day, sightseeing flights are a very unique way to share what the area has to offer and it will be talked about for a life time. Easy and convenient, let us help you create memories for years to come, contact us and let us personalize a gift certificate for that special someone.